Brush on a healthy glow with Mary Kay® Mineral Cheek Color Duo. The product is so versatile, it delivers a sheer or saturated glow. 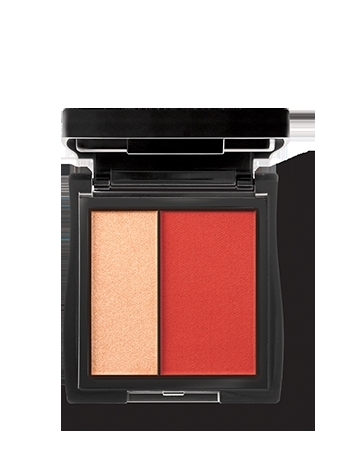 Choose from three buildable shades: Spiced Poppy, Ripe Watermelon and Juicy Guava. Rich, vibrant shades are great for any skin tone. Perfect for creating a radiant, healthy glow. Each palette contains a matte blush plus a pearlized highlighting shade. Great color payoff means you can wear it sheer – or build it up bold! Cheek color stays true and lasts all day. These perfectly paired duos offer multiple cheek effects from one palette. From a sheer, barely there look to a radiant, healthy glow, you can adjust the tone and intensity by building color and sweeping the highlighter over the blush. 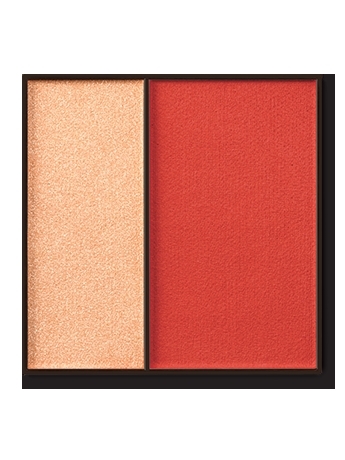 Barely-There Beauty – Add a sheer wash of matte color using the Juicy Guava mineral cheek color duo. TIP: Add a quick dusting of highlighter just above the matte cheek color, then buff with a clean cheek brush for the softest diffused glow. Boldly Accented – Get bold cheek definition by concentrating a pop of matte, buildable color from the Juicy Guava mineral cheek color duo. TIP: Help a bold cheek pop even more by strategically brushing highlighter across upper cheekbones. Vibrant Luminosity – Swirl both the matte shade and the highlighter together to brush on a fresh, luminous glow.